Can My Children Use my House in a 55+ Community? Can my children use my home? Let’s say you’re going on vacation for a few weeks. You might think it’s a win-win situation to let your children use your home in a 55+ community so they can vacation in Florida. So, is this something that can be done? First, it’s important to mention that rules and regulations will always vary depending on the community, so it’s best to check with them. However, a general rule is that guests of any age can stay in the home for up to 15 days at a time twice a year. Technically, this means that your children could come and use your home while you were away, but they likely won’t be able to use any of the community amenities like the swimming pool. 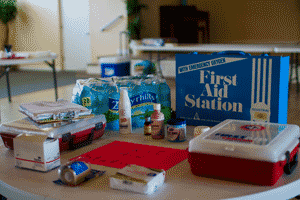 Often times, guests must have a resident present with them in order to use the community amenities. It’s usually best to check with your community before having guests stay in home your, whether you will be there or not. You may also wonder if your children can inherit your home. A federal law governs the age of people living in a 55 plus community. The law states that at least 80 percent of people living in a 55 plus community must be over the age of 55, the other 20 percent can be no younger than the minimum age established for the community. That age is often 45. That being said, there is no law currently that governs ownership of a home, so your children would be able to own your home no matter their age. Whether or not they would be able to inherit the home and live there is dependent on a few factors including the community and their age. In general, having your children or grandchildren visit should not be an issue in most communities. If you’re planning on moving to a Florida 55+ community, be sure to ask what their visitation policies are prior to moving in. This will help save you headaches in the future. Have other questions about moving to a Florida 55+ community? Email sales@NewbyRealty.com to find the perfect home for you! You can also download our free 55+ Moving Guide to find answers to questions like this and many more! Are You Protecting Your Mobile Home Community’s Assets? 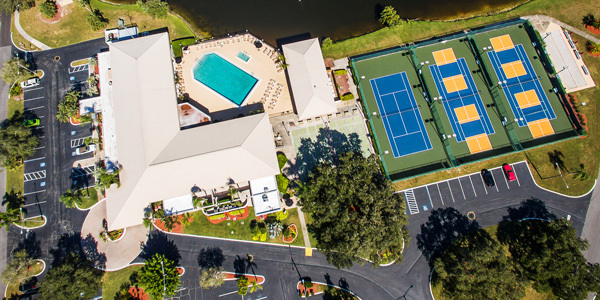 Camelot East, a 55+ Newby Management Community in Sarasota, Florida. 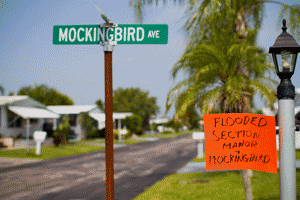 What’s the best way to protect your community’s assets? Empower your team memebrs! It’s a mantra you’ll hear countless times at Newby Management. It holds true in a variety of circumstances and often proves to be invaluable in the workplace, especially when it comes to protecting your assets in a manufactured home community or RV resort. Number 10 in our 10 Basics for all team members states “Protecting the assets of your community is the responsibility of every team member.” Whether it’s the community/resort manager or someone on the maintenance crew, everyone should feel empowered to protect the assets. Empowering your team members to take responsibility for the community’s assets means first making them feel part of a team. People who feel valued by their employers often take more responsibility and pride in their positions than people who don’t. Invested employees notice cracks in the walls or issues when the checkbook is being balanced. In essence, these team members feel like the community/resort finances are their own and treat the assets as they would their home. As a management company, it’s why we value every member of our team, treating them all with the respect and dignity they deserve. You’ll often see that our business philosophy boils down to respect, compassion and care. Successfully managing a community/resort isn’t about the bottom line, it’s about the people. When you find ways to meet the needs of your team members and residents, you’ll see that the bottom line comes up to meet you, rather than you always having to chase it down. As a famous author once said “Profits are a lagging indicator of how well the customer is taken care of”. There’s so much that goes into protecting your community/resort assets, both the tangible and intangible ones. In the end, your team members play an important and integral role in how well assets are protected. At Newby Management, our accounts payable team member often says that she treats the company’s money like her own. She monitors each dollar that goes out, checks for consistencies and always follows through when something doesn’t seem right. That kind of dedication and attention to detail comes from team members who feel valued and important. They see themselves as key players on the team and take initiative when problems arise. They are self-starters and ambassadors of their positions. Through them, problems are addressed and solved in a timely manner. Ask yourself, would a team member in your manufactured home community or RV resort feel the power and responsibility to take action if they noticed an issue with an asset in the community? Would they have the drive and the concern to make the issue known? Would they feel they could handle the issue on their own? 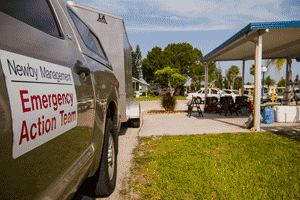 Remember, when you’re managing a mobile home community or RV resort, you should always put people first. The results will always pay off in the end. This is a concept we can say we’ve seen hold true again and again in our business, and it likely will in yours too. Are Mobile Home Communities Good Investments? You’ve probably heard about Warren Buffett’s success in the mobile home industry. While his prosperity in the industry is a lofty goal, there is still money to be made in manufactured housing. It stems from the high demand for affordable housing in America today. It’s a crisis that this industry is helping to solve, and one that is seriously undervalued at the moment. In 2014, the U.S. Census Bureau reported that there were nearly 47 million people living in poverty, which means that many or more are struggling to find homes they can afford. More and more people are turning to mobile homes, from student loan debt riddled millennials to baby boomers looking to downsize. It’s a vast market and one that hasn’t yet been cornered by investors. In fact, Rolfe estimates that of the roughly 50,000 mobile home parks in the country only about 10,000 are professionally owned. While owning a mobile home community is a good investment, it’s one that requires a great deal of time and knowledge to maintain. That’s why so many owners and investors are turning to professional management companies to help them navigate the industry and make their investment profitable. There are a number of things to consider, from the importance of capital improvements to the removal or updates or old housing. In Newby Management communities, we ensure that capital improvements are budgeted for each community, that often means making repairs that are long overdue. Sometimes these improvements are grand, other times necessary. 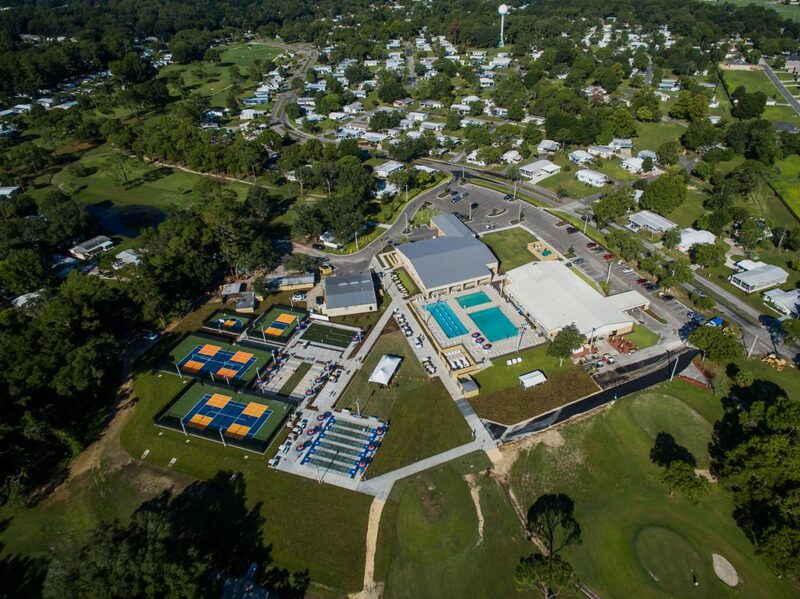 In one community, we recently completed a multi-million dollar club house, while in others we are working to repave roads, repair the pool and trim trees. You have to take each community where it is. We also work to improve the homes. If there are park owned homes that are in good condition, we will rehab them to varying degrees, some are freshened up, others are given a full makeover. When homes are in disrepair we work toward removal, and often times replace them with new manufactured homes from builders like Skyline, Clayton and Homes of Merit. This not only draws in new residents, but also greatly improves the value of the community. Our real estate team is diligent about getting homes sold, whether they are new or used. Our goal this year has been 100% occupancy in all our communities. This doesn’t happen over night, and it takes an astounding level of dedication, but our robust team is always looking for new ways to market homes and to encourage buyers to live in Newby Communities. We market on numerous online home sales websites, local newspapers, social media and online advertising to sell homes quickly and for the right price. From there, we also handle resident relations. 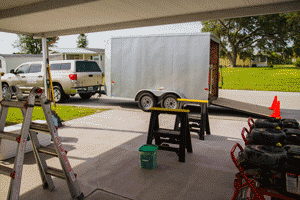 This is an often overlooked and important aspect of owning a mobile home community. Residents want to feel valued, and they are also looking for affordable housing that fits their lifestyle. This is especially true for seniors who are looking for a place to retire. They want to know what kind of activities are happening, what the amenities are and if there are other adults living an active lifestyle in the community. It’s difficult to be on-site at multiple locations handling the day-to-day issues that arise. 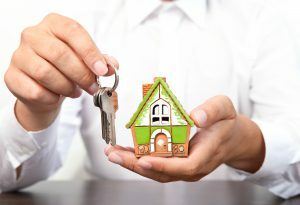 Hiring a professional property management company will help you get the most out of your investment. Whether you need help with resident relations, real estate, finances, or marketing, you’ll find that most management companies have the ability to assist with these items. When you don’t have to worry about the daily needs of the community, you’re free to make other investments or spend your time how you’d like. Learn more about mobile home investments. Learn more about Newby Management’s property management services.